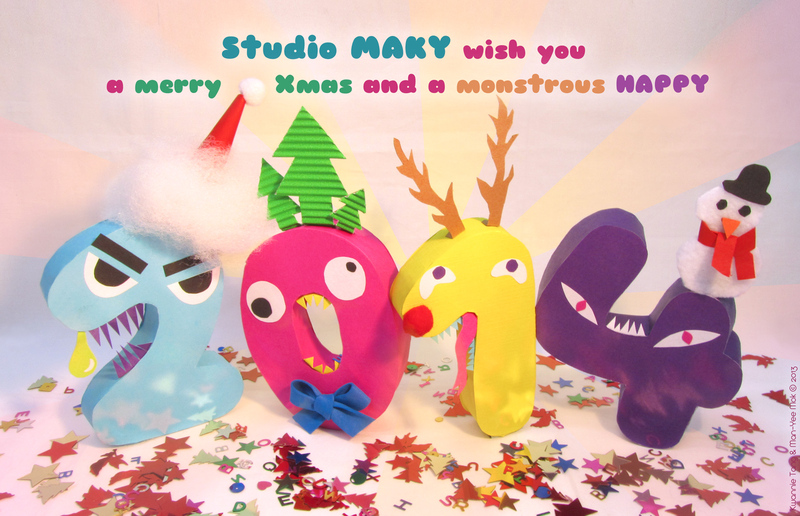 Studio MAKY wishes you a great Xmas holiday and a very HAPPY 2014! Studio Maky wants to thank everybody who supported and helped us with all the projects. Without you guys/girls, most projects didn’t end up that (super) big :D!! To everybody >>> have an awesome winter holiday, very merry merry Xmas and a great, healthy, adventurous, creative, beautiful, fun, crazy, HAPPY 2014!!! !